to his mentor and idol Zero to save him. Zero is everything X isn’t; he’s a rebel with a red suit and a light sabre. He fights for good, but he does it with style and panache. Zero has long flowing hair, Zero has a dark enigmatic back-story and Zero is the crashing through the roof in what looks like another cut scene in an increasingly more narrative driven series. But what’s this? Why has the music changed to a heroic anthem? Why isn’t the game screen letter-boxed (video game short hand for a scene that’s watched rather than played)? 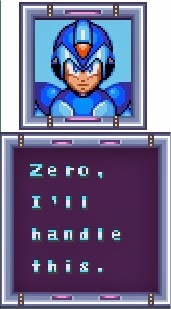 My eyes light up, I was a thirty one year old man sitting on a train, excited at the prospect of playing as a new character in a video game: I was actually going to play as Zero! To say there was a lot of expectation for this moment is an understatement. 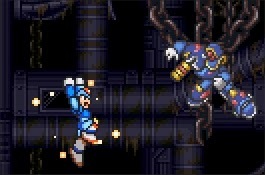 Ever since I rediscovered my love of Snes games the Mega Man X series has been the ones I’ve enjoyed playing the most. Irritatingly they are also some of the most expensive titles you can get and I initially ruled outever owning boxed and complete versions. As has been explored in other posts though, I simply can’t resist buying them though. After all, when you spend 6 months every day looking at ‘saved searches’ on eBay perspective gets lost. You ignore the fact that a seller has listed an eighteen year old game for £90 without a box and focus instead on the fact that its actually £200 cheaper than the others on there. I like to think I’m responsible with money, as the sole bread winner for a family of four I need to be. Why therefore when it comes to certain Snes games do I quickly loose all sense of reason? I can’t count the number of times I’ve poised the mouse over that ‘bid’ button only to get cold feet and shut eBay down. I’d rather deal with the waves of jealous and envy that come from seeing someone else has bought that copy of Mega Man X3 than face up to guilt and buyer’s remorse at having spent the weekly food budget on an old video game. Yet here I am, playing the game. Clearly as I’m on a train I’m playing the emulation version but there at home sits on my shelf a boxed copy of one of my Snes Holy Grails: I have a complete Mega Man X Snes collection. There is one slight problem, the box isn’t real – it’s a copy, it’s a reproduction. My feelings on reproductions have always been muddled; it’s better to own these than nothing, but much better to own the originals. My experiences in making boxes have been unsatisfactory, previous boxes bought though good were clearly home made. But this box is something else. A reproduction so accurate that even the box is grey inside. Within the box is a manual, an authentic tray and even a plastic cartridge bag and pin protector. This box is the work of a master artist whose attention to detail exceeds my own. As with all copies, when you put it side by side with a real box imperfections show. This however is unlikely to happen, as apart from me very few venture up into the floored space above my garage to admire my boxed Snes collection. But it’s not just a custom made box that is being compared to Mega Man X and X2. The actual experience playing the game has a lot to live up to. Unless this is the first blog post you have stumbled across, you’ll know how much I have loved the previous two Mega Man X games. I have trouble picking between the two. X set up so manyfantastic ideas and felt like a true 16 bit evolution from the original NES games. X2 was more of the same, longer with a better narrative and more inventive levels, albeit at the cost of difficulty. Both for me looked as good as sprite games can, even now. Both offered infamously hard but fair level design and creative bosses. 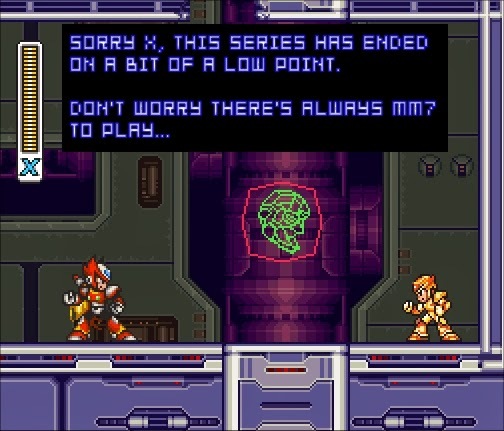 From the outset Mega Man X3 was living up to expectations, not least because it looked and sounded as good and offered the ability to play as Zero. 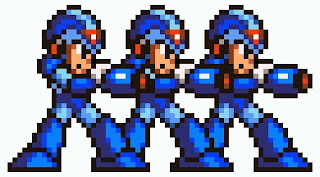 However a new playable character aside, initially everything in X3 seems the same as before: Take on 8 robot mavericks in the best order that exploits their weaknesses, (which just so happens to be a weapons taken from another robot maverick). Just as in the first two games, although you can play through the stages in any order there is always one route that works better than others. Like in the past games, stages feature a wide range of settings and gimmicks. One stage takes place completely underwater which slows down the game play and allows you to jump higher. Others are based around climbing sewer pipes or navigating over ice. This helps mix up the game play, but it really isn't any different from what the past games had to offer. The Robot masters too have by this third game started to fall into a pattern. They may have different names and be based on different animals but predominantly they are archetypes that have been seen before. Some of this is perhaps due to Keiji Inafune, a major contributor to the Mega Man franchise, becoming director, producer, and writer rather than artist and level planner. It easn't something he was keen on, and Inafune recalled experiencing "psychological turmoil" allowing Hayato Kaji, Tatsuya Yoshikawa, Shinsuke Komaki, and Kazushi Itou to design characters. To save time and meet release date, level design also had to be passed on to a third-party developer who had previously only made Mega Man games on the Game Boy. Though it feels like Minakuchi Engineering simply replicated level styles from other games, it would be unfair to called X3 a carbon copy of X2. There are actually huge changes to the game mechanics far bigger than the ability to play as a different character. Some evolve what worked in previous games while others changes subtract from the genius of X2. I though The X Hunters were a master stroke in the second game in the series, adding random chance and forcing the players to continually re-evaluate which bosses to challenge when. From the map screen you could tell what mini bosses you could fight and where you could fight them. Even if you elected to visit a level you could avoid the X hunter if you wished (though this lead to a bad ending and a very hard end of game boss). Nice to meet you Bit, why must we fight now!? In X3, mini bosses return but strategy is replaced with blind luck. At times you may want to fight a Bit or Byte but neither turn up in the level you are playing. Other times you may be low on health and they will just pounce out of nowhere. It's really not as good as the system seen in X2. It’s frustrating and reminiscent of random encounters in JRPGs, something I’m not keen on at all. Other changes though work well. In the past games X could find health tanks and armour pieces around the levels which would give him new abilities. This gave the game a much greater length, since new skills would open up previously locked parts of levels encourage you to back track. In addition to these, X3 also has some extremely well hidden ‘red chips’ that give you premium abilities. Skills like the always fun, (not unpredictable at all) double dash jump can be extremely useful in traversing one hit kill spikes. But opting for this skill rules out the chip that regenerates energy or the one that gives you a shield, since you can only use one premium upgrade at a time. It’s a smart implementation of RPG style customisation that means you can mould X to fit your play style in a way not seen before. Of course finding these red chip upgrades is in itself a mighty challenge and is impossible unless you understand the other new addition to the game play; ‘The Robot Ride’ system. In past games in the series, X could jump into giant mechs but theses only featured in specific levels and were only used for a specific reason. This time around you acquire the ability to summon the giant machines through teleportation pads placed in some stages. In other games X could switch between skills stolen from defeated mavericks to make stages easier or to unlock hidden bonuses. In X3 you can also summoning different robot rides to give you access to different areas. 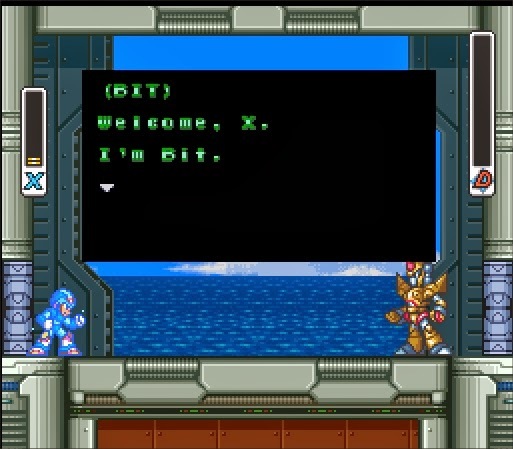 Clearly all these new mechanics make Mega Man X3 more complicated, but it also means there is more to discover. The levels styles may be something very familiar to long time fans, but the level length and complexity is like nothing seen before in the series. The box boasts they are twice as big, with twice as much to discover and this certainly seems accurate. Compared to the others X3 feels huge, with a great deal of variation between play throughs. Indeed I think its not actually possible to see every boss in one play through, due to the ways in which some fights are unlocked. You always start each stage playing as Mega Man X, but considering he initially has none of these numerous upgrades or robot rides why would you do this with a playable Zero is just a button press away? Anytime I could I ditched ‘The Blue Bomber’ and played as ‘The Red Rebel’, something that you can do once a stage except for boss fights. 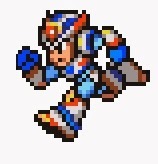 Despite all his massive energy bar and beam sabre, Zero is still rubbish on one hit kill spikes. But that’s ok, to die many times in a Mega Man game is to play it properly – you learn from your errors and grow from your mistakes. Or so I believed. The only thing I leant from watching Zero plummet into a pit however was that if he died, that was it – he was gone and he will not even show up in the story. Because of this, Zero becomes really just a back up character. If X is low on health, you can switch Zero despite being stronger and more fun to play he really isn't a character you want to use if there are risks involved. Ultimately despite him being there, he really doesn't add too much to the game in general. It’s a stark reminded that lofty expectations can sometimes not be met, that despite everything initially seeming so great you can still end up disappointed. 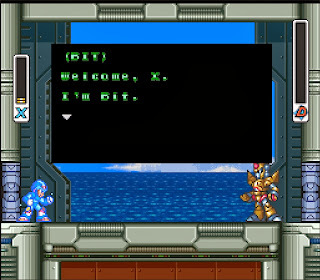 It’s indicative of the majority of the Mega Man X3. It promises much, has all these new techniques but ultimately doesn’t deliver. The reason for this failing? Frustrating difficulty. This much energy is lost each hit. master that is weakest to your default start weapon but his size means each hit you take from him removes a third of your energy. Blizzard Buffalo is faster than you, stronger than you, larger than you. He has a grab that can kill you in one hit with homing projectiles that can kill you from off-screen, even if he is immune to damage when not visible. He is not someone you should have to fight first. Consequently, X3 was the first time I got frustrated playing a MegaMan X game. I found this first maverick fight harder than any other in the series and even harder than the end of game boss in X2. I can well imagine that anyone who is joining the series at this game cannot progress beyond what's logically the first level. It feels cheap, and unnecessary. Mega Man games may be famed for their difficulty but past games have only had deaths caused by the fault of the player. It really is of no benefit for 90% of the game’s content to be put behind this difficulty barrier – a lot of people may never see it. But it’s not just the maverick fights that have ill-conceived traits that seem to be there just to infuriate the player: Platforms sometimes have over hangs that make them hard to jump on from underneath. Some walls are staggered and get narrower meaning they can only be climbed using a combination of jumps and mid air dashes. But, the biggest offender though is that there are too many identical pits – some of which kill you and some which are the desired route. There is no way to tell which is which without trying, which would be fine if death didn’t send you back to the start of a very long level. These poor design choices don’t make the game harder, they just irritate the player. X3 is filled with ideas, but it just doesn’t feel balanced or properly tested. 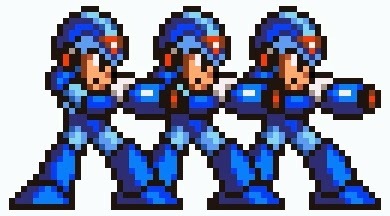 I imagine the additions were perfected in later Mega Man X games; however it’s unlikely I will ever know. Sadly, this is when the series stopped on the Snes with it moving onto the PlayStation. That’s not to say there aren’t other Mega Man games to enjoy on the Super Nintendo, but this will be the last time I get to see X‘s red suited comrade on a 16bit machine. The Mega Man X series have to this point been my happiest discovery on this SNES collecting journey. X1 and X2 left me wanting more and I hoped that’s what X3 would offer. In the end though, I found it too complicated and difficult to enjoy without getting angry or tense. The boxed complete copies of Mega Man X3 are very rare due to its limited run and the fact that it was released during declining support of the console. I hope those spending £300+ on eBay are aware that there’s less irritating games in the series, although none of them have the scale of this release. It’s disappointing then that this swansong was for me the worst of the three X games. It goes to show, top notch 16-bit pixel graphics, tons of hidden content and an exceptional pedigree do not always come together to make a great game. Like the reproduction box it lives in, Mega Man X3 may look practically identical but somehow the magic is missing. If you would like the Reproduction Box I was so impressed by head on over to a great shop called Retro Replace. They may be a little bit more expensive than others out there, but they are by the far the best you can find. * Zero is truly playable, can fight bosses, and now uses lives like X (no perma-death from spike pit). 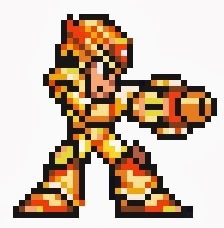 * Zero can use enemy weapons, and even use some of X's upgrades (including the gold capsule). * New cutscenes and dialog (Zero can activate the Capsule's and talk to Light amongst other things). Thanks for the tip! I am mourning the fact I've played every 16 bit Mega Man game a little. Do you know if it's on a reproduction cart or anything?